During all the hunts we went to, there were 145 wild pigs hunted down, 19 pieces of other hoofed game and 15 pieces of varmints. We were very satisfied with work of our dogs and we were mostly surprised by Irma. This was her first hunting season and we were a bit afraid about her not coming back to us after hunt. But in the end there was no need to worry. We knew about her hunting passion long time before and already now I can say, that both russian girls are so much more capabale in hunting than Engie and Donas - especially in their speed for searching for the animals. There is a very strict selection for breeding in Russia, which is focused on hunting site of the breed. We can see it clearly in our girls. My colleagues often ask me, why do I hunt with imports. They say they would not let them in. 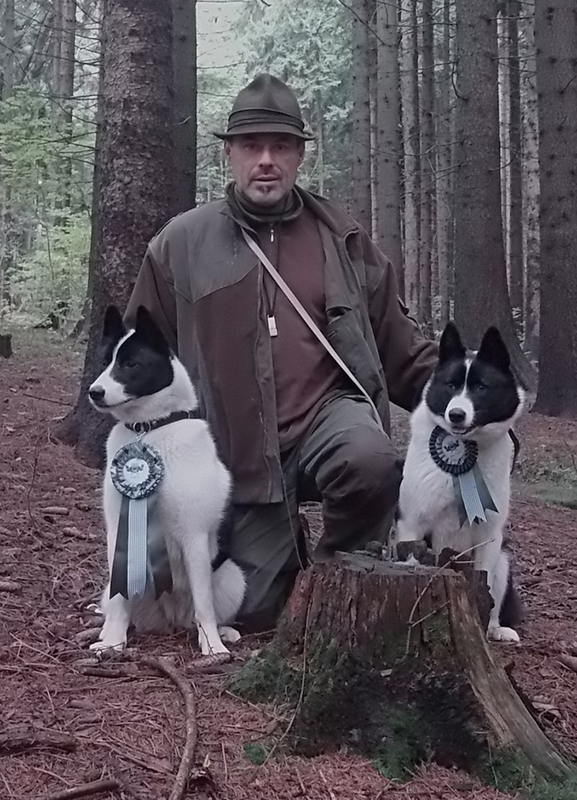 My answer is simple, there is no need to use a dog for breeding which didn't proove its hunting qualities in practice. Hunts are the best to give them a chance to do so. Although laikas are not typical hounds and are more suitable for solo hunt, they are capable of things other breeds aren't. 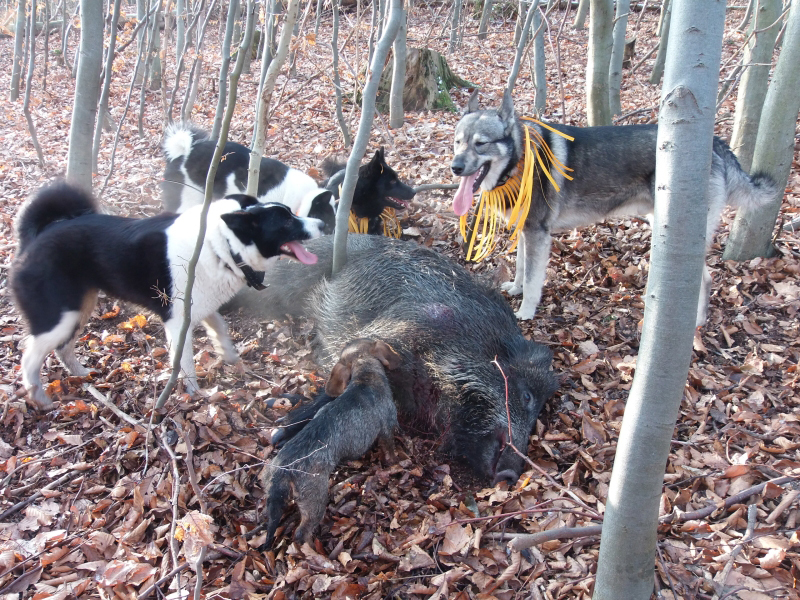 We are also glad that we have no wounds from wild pigs. Only Donas had twice problem with his front leg. What more to say? 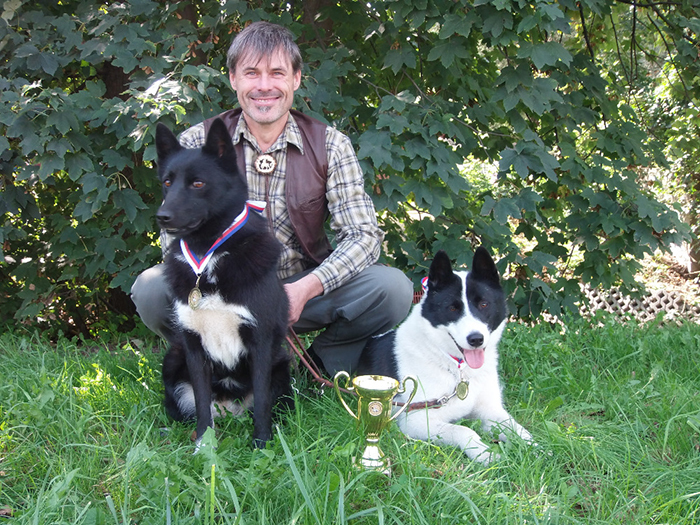 We need two more GPS collars and we are looking foward to the new hunting season hopefully with a new dog from Russia. 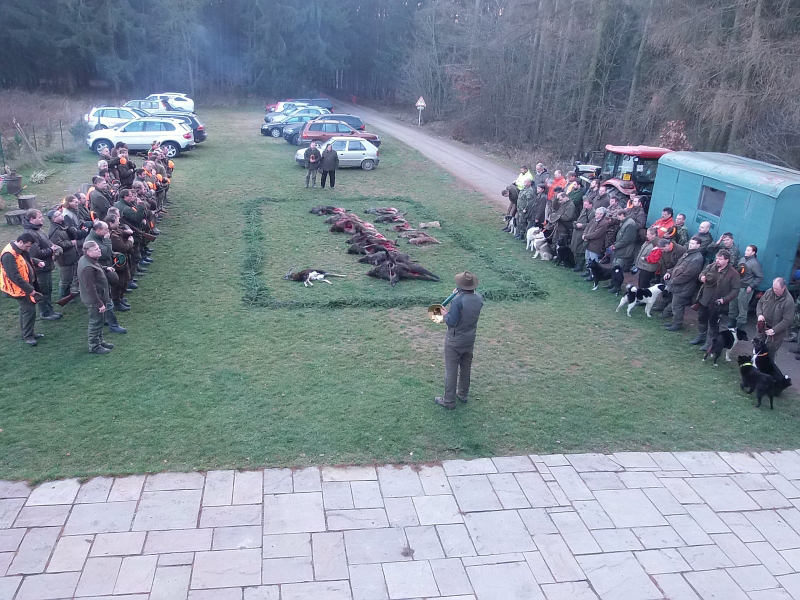 Excellent hunt, which was also meeting of our club. We went again without Engie. There is an excellent hinterland for us as family Horník takes good care of us. We will surely be looking forward to come back anytime we have a chance to come. 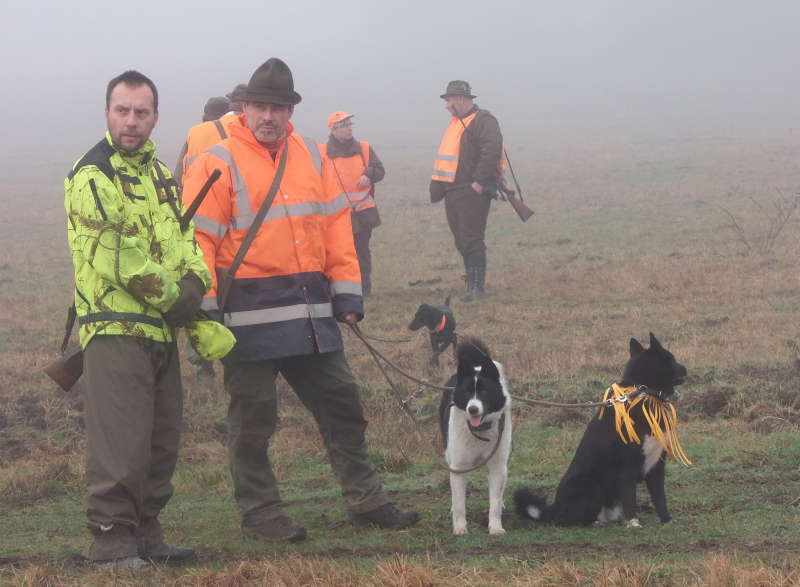 This hunt was without animals during the first three rounds but dog enjoyed themselves in the last one. We left Engie at home as she was on heat. We took all of our dogs with us and this event was a bit bitter for us. During the hunt Donas and Engie followed injured piglet and didn't come back. We found them the next day at the place where we started hunt the day before. Donas was injured in his front feet. We have no idea what happend. This was the very first time we didn't have our dogs with us after the hunt was done. Although the hunt itself was excellent. All excelllent. We went with three dogs without Serri. We were invited by my friend Palo Krč. As the association has enough dogs we took only russian girls Irma and Serri. Both got in contact with the game and were appreciated for their work. 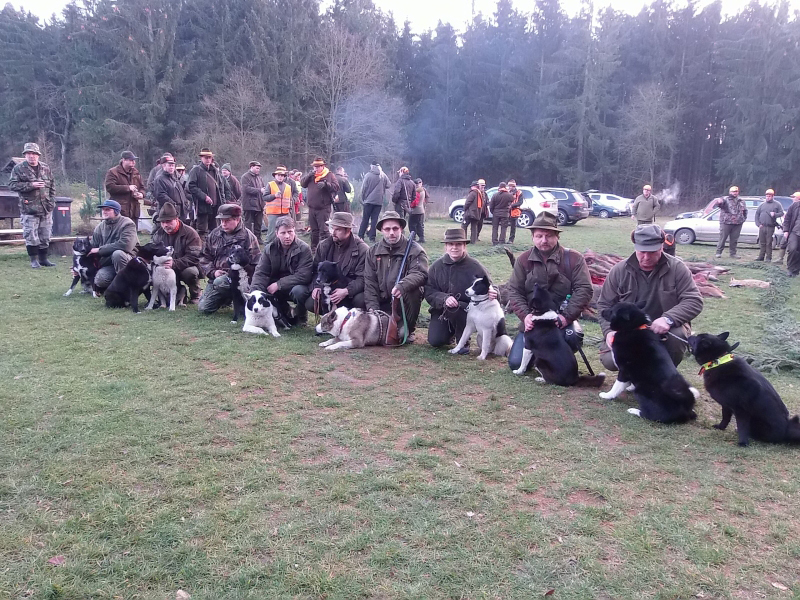 Traditionally great hunt, where dogs got in contact with game. Serri again stayed at home. Excellent area, unfortunately there were not as many animals as we hoped for. We went without Serri. It was our first try in this area. The terrain is excellent, also number of wild animals (29 pieces of wild pigs was taken down), nice organisation. 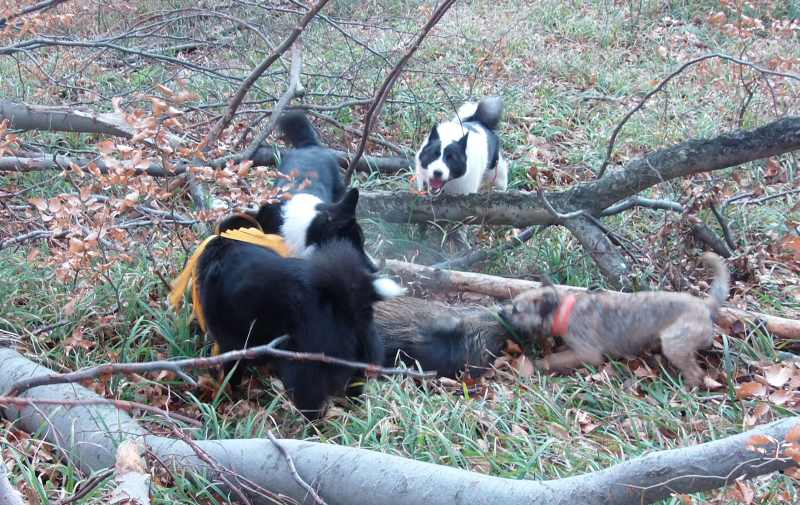 Three of our dogs were with us, Šerri stayed again at home. Unfortunately not enough hunters were presented. 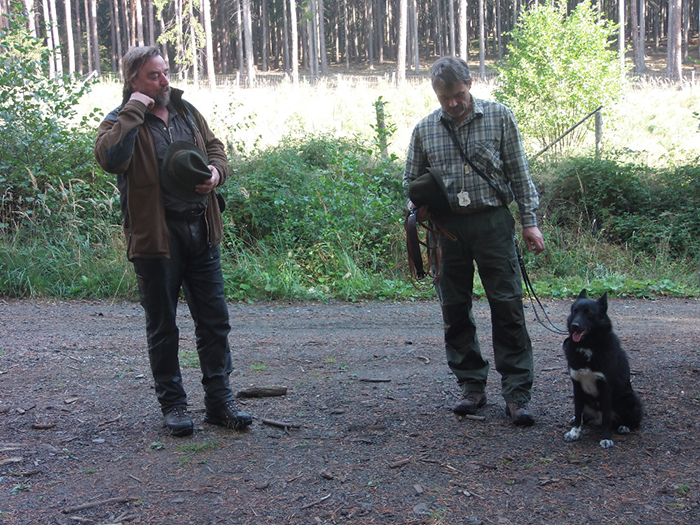 We took three of our dogs, Šerry stayed home with her owner. Traditionally excellent hunt, for which we find a weekend too short. All of our dogs participated. Area is traditionally rich for animals, great organization that we enjoys with all of our dogs. We enjoy hunts in this area very much, even though it is not as rich in wild game. But we enjoy all the hunters traditions held there. We took all of our dogs. 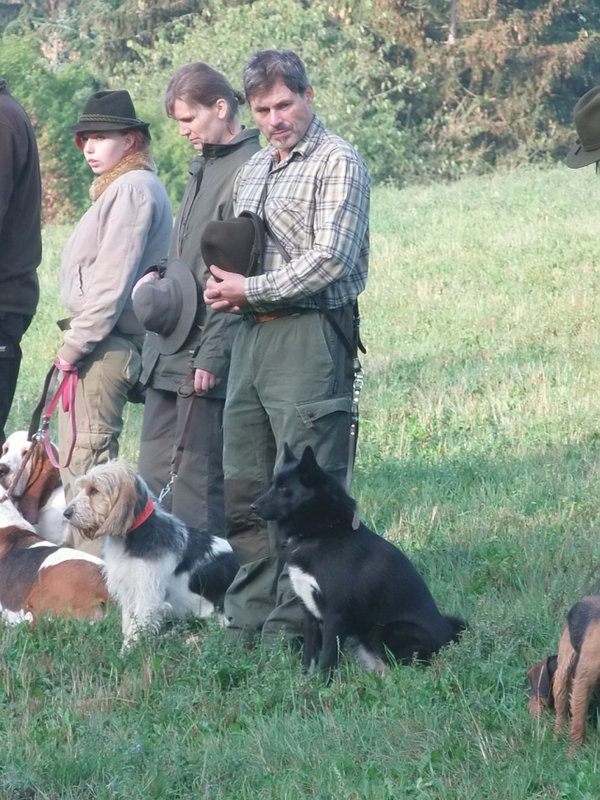 We took three of our dogs for theis hunt. Irma stayed with light injury at home. 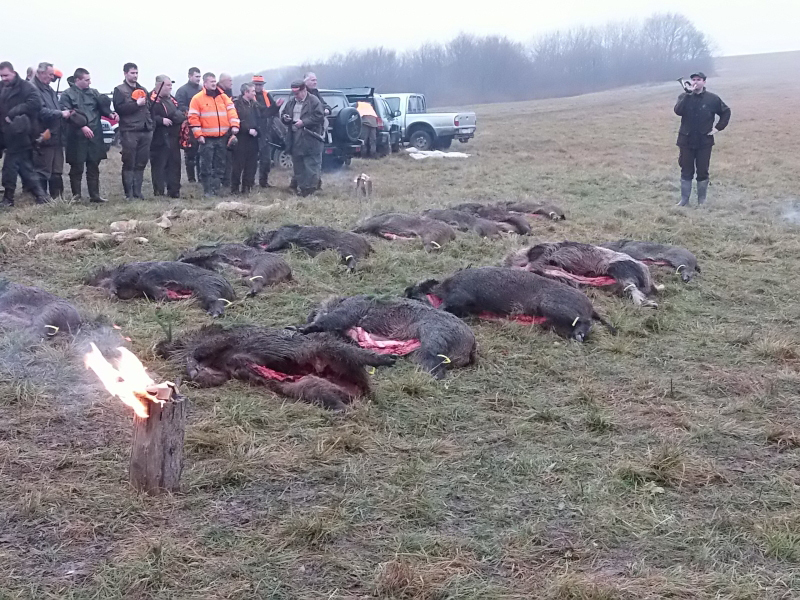 There was a lot of wild game in the area and we took down 27 animals. 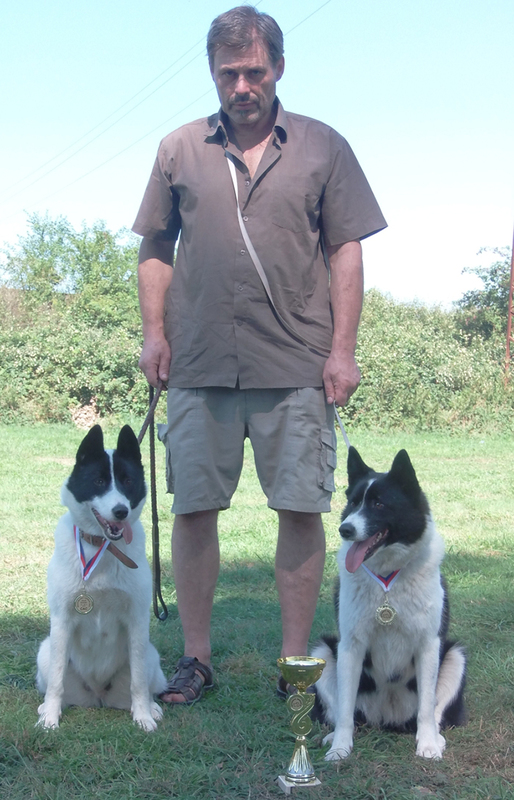 Well made event in great area and we took all our four dogs wit us.